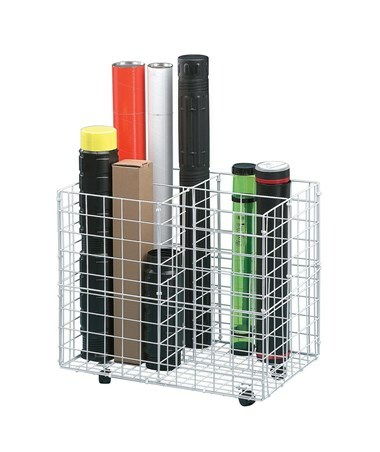 The Alvin King-Size Roll File is a heavy-duty storage rack that accommodates any rolled files such as maps, blueprints, drawings, plans, and many others. 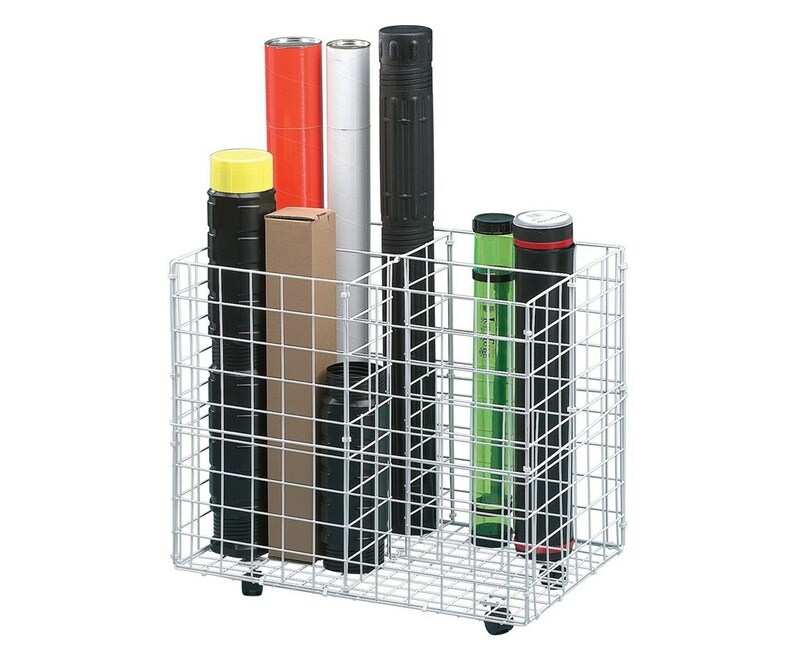 It is also an excellent way of keeping storage tubes organized and easily accessible. With its four 9"W x 14"L openings, it provides ample room for a wide variety of materials. The Alvin King-Size Roll File features a durable heavy-gauge steel rod construction. It comes with white plastic coating that resists corrosion to ensure long-lasting service. It has overall dimension of 18"L x 28"W x 26"H and requires simple assembly. Equipped with four swivel casters, it allows high mobility for maximum functionality and efficiency.